Have you ever used DEiXTo? Tell us your impressions. The user interface is clean and efficient and the user manual looks more professional than most commercial user guides you see out there. With DEiXTo, I feel like I stumbled upon a hidden treasure! Since we discovered DEiXTo, we realized this was the tool we needed to crawl the web in search for any piece of information related to our clients. Its simplicity makes it easy to learn and you get results from your first attempt. We have made a set of robots and via executor they extract information from several web resources to create a custom report. I use DEiXTo almost as a daily tool and have hundreds of configuration files. DEiXTo is the swiss army knife of web scraping! 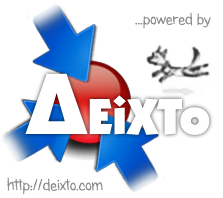 I am very glad to have found DEiXTo and I hope the development continues. What a fantastic tool! Without DEiXTo, the task would have been impossible! I used DEiXTo to build a server side data feeder for my mobile application. With the help of the DEiXTo team, it took me only 2 days to replace the static data of my Win Phone app with live data. Moreover, the data feeder runs free of charge 7/24 on deixto.com – no server hosting is required. I have done an extensive search on the internet to find something just like DEiXTo! I am very glad that I have found it! It is very easy to use and understand – even for non-programmers like me. I only want to do one single – but big – scaping task. After the DEiXTo Team solved some extraordinary character problems for me – many thanks guys – I will now be able to fulfill this task in the next one or two days. I am looking forward to the results! When I first found DEiXTo I thought it would be of limited value if useful at all. To my great surprise, DEIXTO is very easy to use, produces results that need minimal to no editing and has saved me more time than I can calculate. Thank you for providing this tool! Quickly and easily pulled data from tables on the web. Used the GUI version to build a “model” that I could then use with a headless batch file using the CLE version. Saved me several days of programming! So easy to use! Fotis and Kostas were both so willing accommodate a special request I made. You guys are great! I think I will actually find this useful in some of my webpage building as well. I can’t wait to try it on another project! DEiXTo is an incredible application. I am so grateful for it. I am a little senior in my years and I can speak about TWO specific advantages available today, first the dramatic population increase from the late 60s to the current levels, and second the internet as a method of instant communication. DEiXTo is a tool that is very much needed to benefit from both, in a productive way. I have looked and used many, many wed mining applications. Quite a few prey on the ignorance of the user in a market that hides it capable secrets. DEiXTo belongs in your tool box. Was attempting to extract from multi-part webpages and was experiencing difficulty. A quick email to Fotis and a complete explanation of the process along with worked examples arrived in my in-box…. Outstanding! A really powerful tool without bloat.